A century ago, Houston was a city of risk takers – wildcatters, we called them – who bet everything on the chance to strike black gold. The Houston Hustle is still alive and well – the city ranks among the top in the country for entrepreneurs – but when it comes to creating the next earth-changing technologies, the new generation of wildcatters tend to head to the West Coast. However with Houston’s innovation ecosystem gaining momentum and a new partnership inked with MassChallenge, one of the world’s top-five startup accelerators, the city is betting big that risktakers can still thrive here. 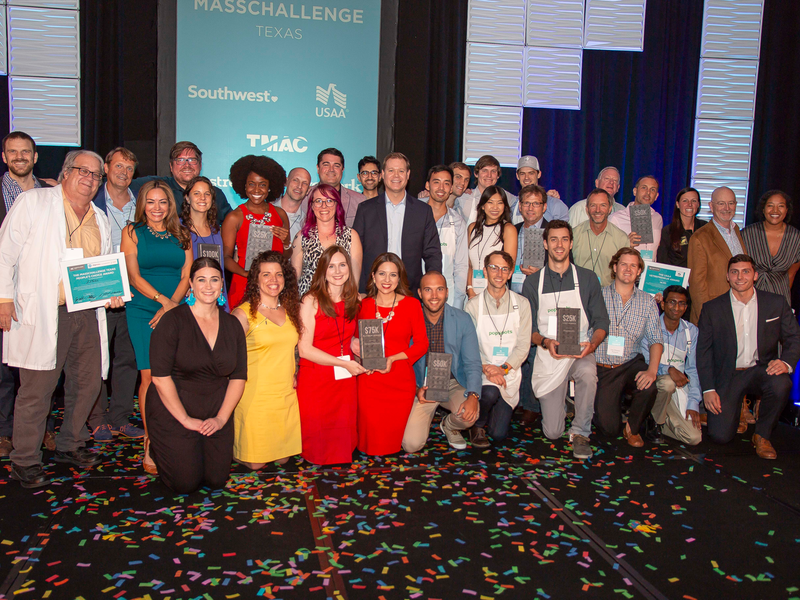 By operating as a nonprofit and receiving grants from government entities, corporate partners, and philanthropists, MassChallenge can boost startups that offer great potential to solve the world’s problems. When it comes to attracting a startup community, in some ways Houston has been a victim of its own success. With a strong economy, there has been no existential threat to the city’s fiscal health that demanded immediate government intervention. Houston hasn’t seen the kind of decline of a Pittsburgh or a Detroit, where empty industrial warehouses have been turned into low-overhead tech hubs. And Houston investors, conservative by nature, have spent the last 20 years reaping the rewards of one of the world’s biggest energy innovations – fracking – leading to less of an appetite to invest in riskier, harder-to-understand startup ideas. He wasn’t just speaking theoretically. A handful of promising startups left Houston in recent years to find more talent and institutional support in San Francisco and Austin. In 2014, Schlumberger opened a new Software Technology Innovation Center not here, where the company is based, but in Silicon Valley. To reverse this trend, Houston’s civic and business leaders made creating a viable innovation economy a top priority. That has led to a dramatic upswing in Houston’s startup infrastructure over the past five years. In 2014, the Texas Medical Center founded the TMC Innovation Institute, dedicated to translating medical discoveries into commercialized products through a number of highly regarded incubators, accelerators, and labs. 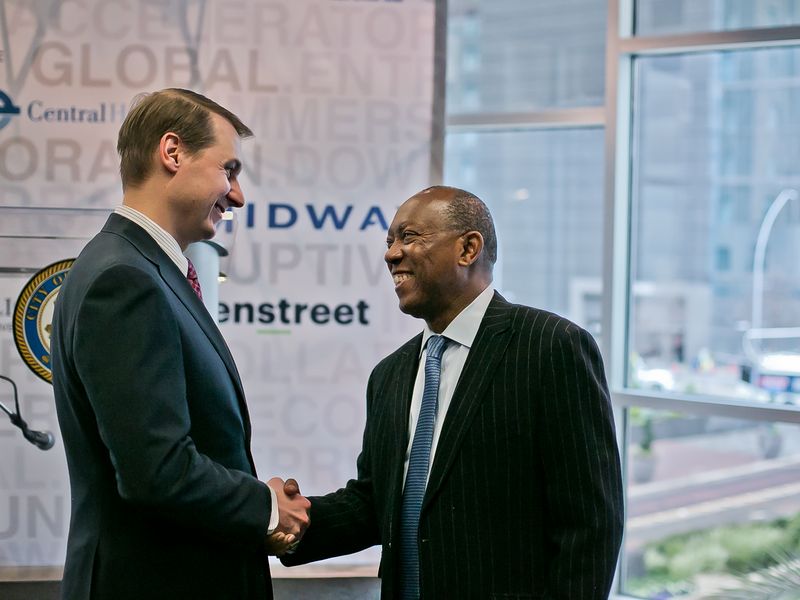 Station Houston arrived Downtown in 2016, offering another technology incubator with the kind of partnerships and name recognition to attract venture capital. This spring, Rice University will begin renovation on the historic Sears building in Midtown, turning it into a 270,000-square-foot innovation center called The Ion that is planned as the centerpiece of a larger investment in tech and startup infrastructure in the area. It’s these institutions and spaces that form the backbone of the Innovation Corridor, alongside Rice and the University of Houston – both of which have entrepreneurship programs ranked among the top five in the country – as well as the array of research institutions inside the Texas Medical Center. It’s the promise of these incredible resources that made Houston so appealing as a destination for MassChallenge. Though MassChallenge’s physical footprint in Houston will be modest – they are opening a small office in GreenStreet, with the first cohort of hand-picked startups to arrive this summer – the impact to Houston’s Downtown is expected to be much larger. According to Harthorne, we can expect about half of the companies from the inaugural MassChallenge Houston cohort to hail from Texas, and the others to have chosen to join the Houston accelerator based on Houston’s particular economic profile – meaning that we should expect plenty of bright minds looking to shake up the energy industry, startups that would benefit from proximity to NASA, and businesses touching on the medical industry. The partnership between Houston and MassChallenge is in many ways a natural fit, but that doesn’t mean it happened organically. The press conference announcement was preceded by eight months of conversations, with leaders from Central Houston taking on a key role in presenting the city as an ally for what MassChallenge is trying to accomplish in Texas. This fruitful and active collaboration not only led MassChallenge to choose Houston over Dallas as its second Texas city (Austin launched in 2018), but also quickened the timeframe for expansion to 2019 from the planned 2020.